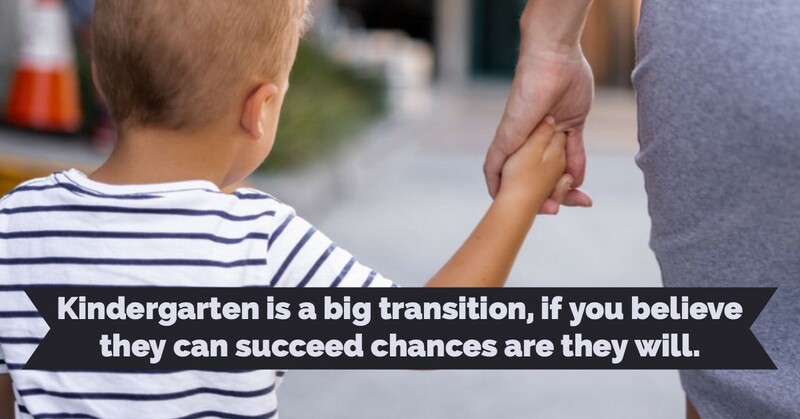 The transitions of our kids from the day they are born to the day they enroll in Kindergarten feel huge, and often stressful. A few years back my mom friends were all asking about potty training. Now, we are all asking if our kiddos seem ready to survive Kindergarten. The stress of parenting is unreal. With every choice comes an unavoidable gamble; am I right or wrong? The pressures are heavy: carseats, vaccinations, gross motor skills, trauma, stress, separation anxiety. The pressures are seemingly endless. Just when you think you have a little part of your parenting journey figured out, you fall down a rabbit hole of unknown and once again you’re clueless. You manage not to break your kids, and suddenly there’s another chance to *uck up. For a lot of parents, the first big challenge is in deciding when to send their kiddo to Kindergarten. Why? Because Kindergarten is when the real world of scores, grades, and academic records start for our kids. We are nervous as hell that they won’t thrive in the context of a world that we as parents don’t know and really don’t understand. We have to approach Kindergarten like we do most other things in parenting. With a little prayer and a glass of pinot. Prayer that we don’t mess up too bad, and pinot to keep our own anxieties at bay. 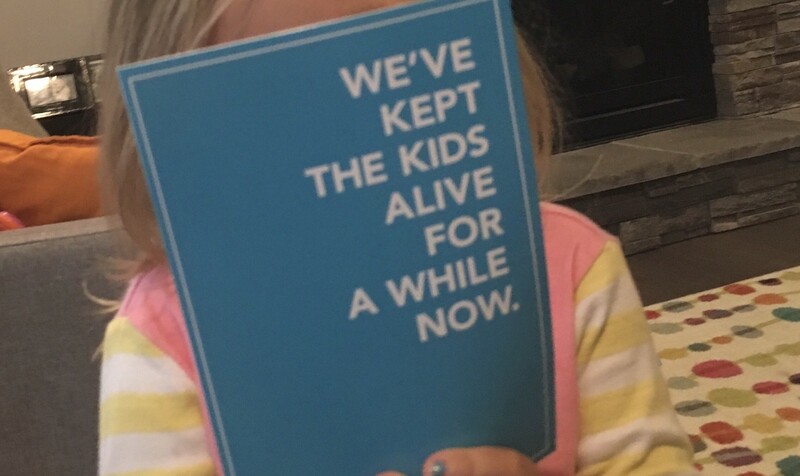 Because really when our kids are 4 or 5, things really are on us as parents. Even the decision to send our kiddo to Kindergarten at 4, 5, or even 6 is mostly on us. And as with 90% of all other things we do as parents, there is no simple answer. While compulsory education ages are set by individual states, in those states that lean towards 6 and 7 (roughly 50% of our country) parents make the final call on when their kiddo heads off to Kindergarten. And when we as parents are unsure we tend to want declarative answers. Answers that protect us from being wrong. Answers that add comfort to our decisions. But when it comes to deciding who is ready for Kindergarten there is no magic moment of readiness. There is no universal sign and there is no stoic evaluation that universally determines that a child is ready to enter into the world of formal schooling. So what do we do? We do what we always do; make the best choice as the person who knows our kids best. But parents there are a few things you can do, here is our list to get you through. Go to Kindergarten open house, round up, etc. at your local district. This doesn’t mean you are sending your kiddo, it just means you are interested. Walk into the school, listen to what is said, observe keenly the environment, the routines, and the behavioral expectations that are passively posted (rules, signs in the hall, etc.). With every nuance you take in ask yourself: Will my kiddo be okay here? Go on a school tour. Yes, you can call the school and ask for a tour. Do it. Go and see the classrooms with kids in them. You may need to do a background check (depending on the district and visitor rules) but it will be worth your time. When you are in the classrooms and school ask about things like snacks, lunch times, how they deal with behavior, what communication you can expect from your child’s teacher, what happens if they have a potty accident, when kids can get outside, how long they get for free play, etc. And look, look very carefully at how children are learning. Are they directed at every turn? Do they have autonomy? Do they have to sit still for long periods of time? Are materials available to them, or do they need to ask to receive things like pencils and books? Ask the teacher and leaders about what they need kids to come to school with (and please do not be shocked if they say “a love of learning and an independence enough to use the bathroom without supervision” — because really that is all most Kindergarten teachers truly expect). Talk with other parents. Yes, ask them how they made their decision about when to enroll their child in Kindergarten. Ask if they have any regrets? Ask if there was anything they think they should have done differently? Consider the age of their child, and listen carefully for common themes. Each parent and family has their own story of the transition to Kindergarten. Some are complex, some are sweet and easy, some are horrifying. Take it all in, don’t get anxious (grab the pinot) and really think about what is best for your child. Remember that Kindergarten teachers are trained to help your child learn to read, identify numbers, and write. They need your kids to come in able to hang up their backpack, put on their coat, walk into a bathroom alone without fear, and eat their lunch without direct supervision. Focus on the social emotional needs of your child; the academic mastery will come. Keep in mind that every kiddo develops at their own pace. While my daughter could hold a pencil perfectly at two, my friend’s kiddo could read at two. Each kiddo is different, and when they are little they don’t need competitive anxiety — they need to be who they are. Parenting is a tough gig. Sometimes the hardest part of this job of raising little kids is in remembering that it is our job as adults to be calm, to not be anxious. Parent anxiety can be a trigger for child anxiety, if we as adults can keep our cool and reflect a “not worried” approach — maybe our kids will do better. The research related to the developmental characteristics that children need to start Kindergarten is pretty clear: readiness is not about academics (do they know their ABCs, do they know their colors, or can they count to 10, 20, 30, etc.). Rather academics is a very small part of the full picture of readiness. Its the social emotional that matters most. Remember that social emotional readiness at this age is about a kiddo’s ability to be away from their family, establish relationships with our children and adults, manage their emotions, and have an eagerness to explore and be curious. Parenting is hard stuff, so are decisions about Kindergarten. But don’t make it harder than it needs to be. Take your kiddo to the library, to a kindergarten classroom, or to a play cafe. See how they do, look at them as individuals and wonder if they are ready. The answer will come to you, don’t be anxious you know your child best.